In The one with the board game Brian Inkster makes a welcome return to Dialogue on Remaking Law Firms reporting on a recent conference on a topics that’s not all that common today, the human elements involved in running a law practice. With all the tech buzz, one may be forgiven for forgetting that law is still first and foremost a people business. Thank you Brian! Viv Williams of Symphony Legal, opening the conference, prophesised that the legal landscape is likely to change more in the next 4 years than it has in the past 40 years. Much of the conference perhaps sought to help the delegates who were lucky enough to be there with that change. And such change didn’t, I am pleased to report, involve Artificial Intelligence or Blockchain. Again it was refreshing to be at a conference where hype around legal technology was absent. It was more about the actual human elements involved in running a law practice that are still paramount to succeeding in business today. I am, however, wondering how I can incorporate the James Bond structure into my next crofting law talk! This is where you start with something really exciting to grab your audience’s attention. It might not make sense to start with but you’ll explain what it means as you go along. Jeremy certainly grabbed the attention of the delegates at Source and held it throughout his presentation. As he did again in the evening with after dinner stories of encounters with Brian Clough, Christopher Lee and an armed man claiming to be Jesus. One important takeaway from Jeremy’s talk (there were many though) was that when presenting no one is interested in you (the presenter). You need to know your audience but your message is the most important thing. First, there was a discussion around change with reference to the Change Curve. We learned about the evolution of trust. Image Credits: Images by Symphony Legal, if not by me. Brian Inkster was named Managing Partner of the Year at the Law Awards of Scotland 2014 and Solicitor of the Year at the Law Awards of Scotland 2006. 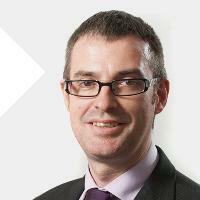 He was called ‘a one man Scottish legal institution‘ in the Recommended Law Firm Guide 2010. The one with the board game was first published on Brian’s The Time Law blog on November 12, 2018.